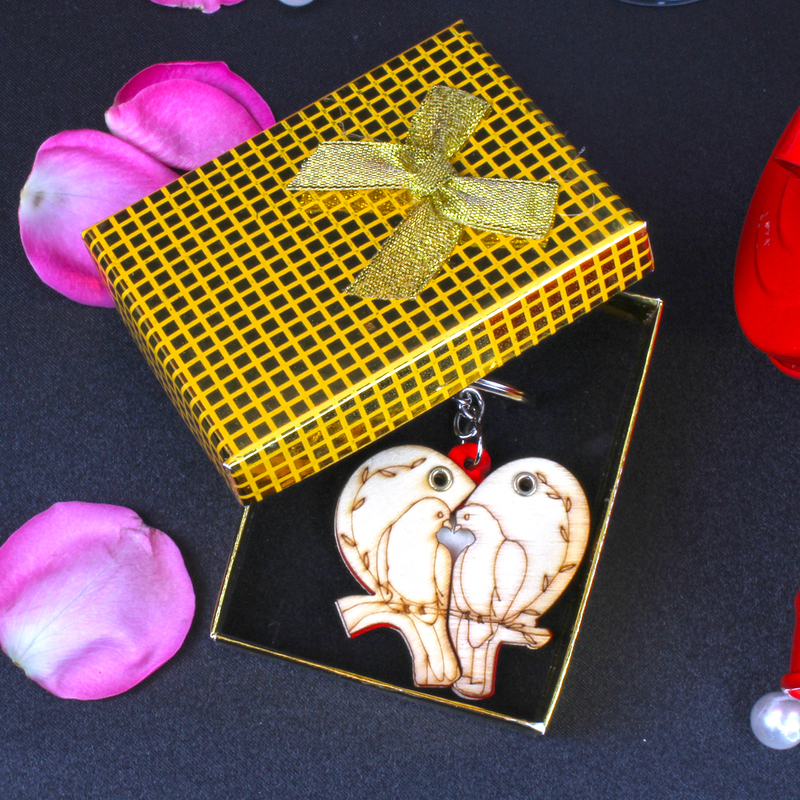 Product Consists : Dedicate to Love Birds Key Chain in a Box. 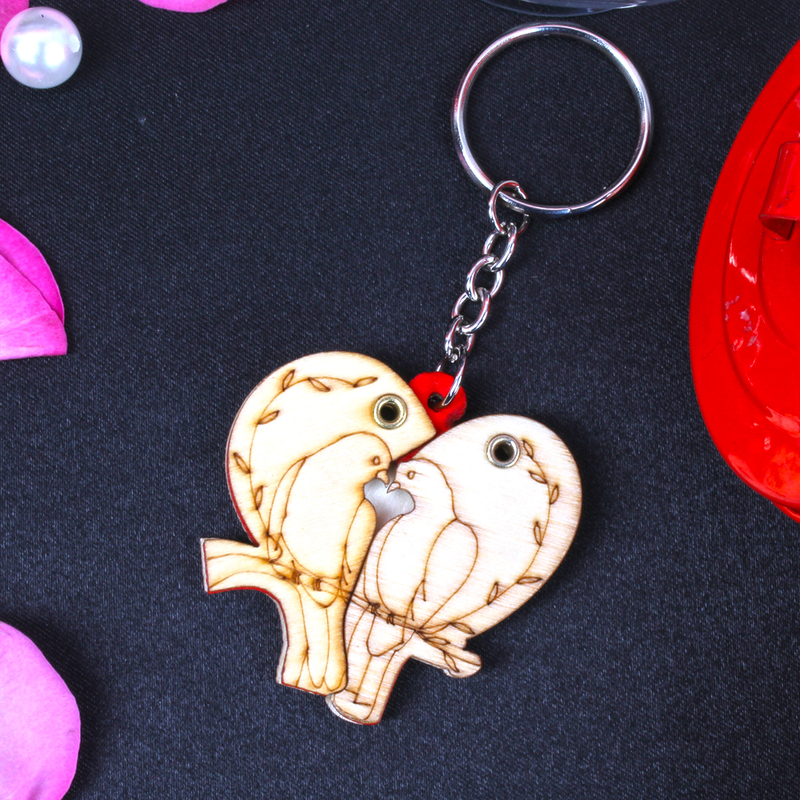 Give your sweetheart a wonderful surprise for any special day with this appealing love bird key chain. Key chain can connect the small keys together, thus make it easier to find them. Very cute love bird sitting on steam in heart shaped printing photo inside on it. Beautify with a heart shaped key chain with love birds designs, very pretty looking couple heart shape also gives extra ordinary love affect. This exclusive key chain comes with the image holders were you can place your choice of an image or your love one photo. 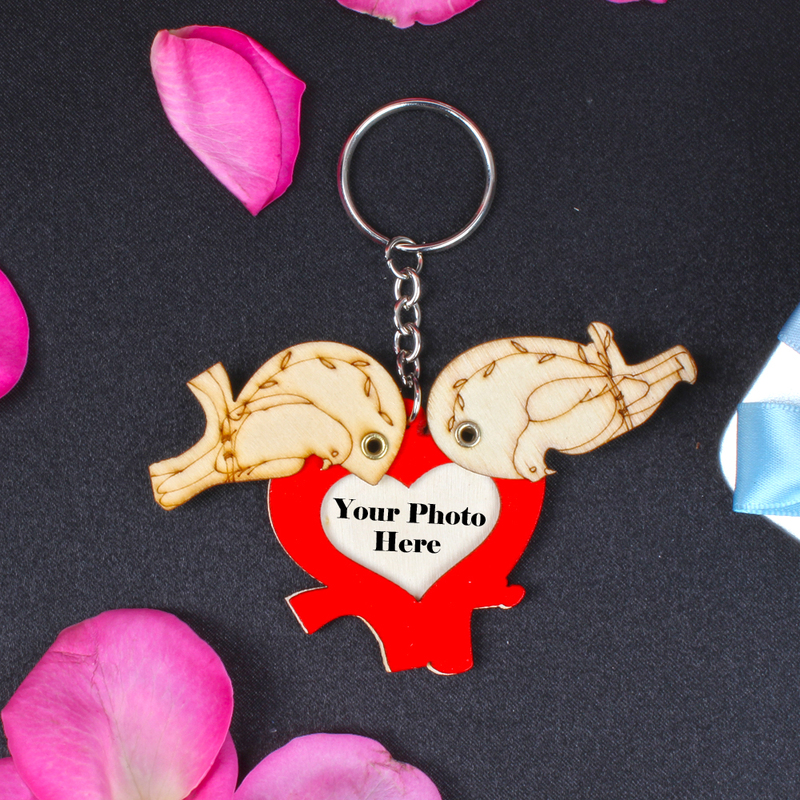 Product Consists : Dedicate to Love Birds Key Chain in a Box.